What’s it like being a bat? ‘Seeing’ the world through your ears, or at least a sophisticated echo-location system. Or, what’s it like being an octopus? With eight semi-autonomous arms that I wrote about a couple of weeks ago [see ‘Intelligent aliens?’ on January 16th, 2019]. For most of us, it’s unimaginable. Perhaps, because we are not bats or octopuses, but that seems to be dodging the issue. Is it a consequence of our education and how we have been taught to think about science? Most scientists have been taught to express their knowledge from a third person perspective that omits the personal point of view, i.e. our experience of science. The philosopher, Julian Baggini has questioned the reason for this mode of expression: is it that we haven’t devised a framework for understanding the world scientifically that captures the first and third person points of view; is it that the mind will always elude scientific explanation; or is that the mind simply isn’t part of the physical world? Our minds have as many neurons as there are stars in the galaxy, i.e. about a hundred billion, which is sufficient to create complex processes within us that we are never likely to understand or predict. In this context, Carlo Rovelli has suggested that the ideas and images that we have of ourselves are much cruder and sketchier than the detailed complexity of what is happening within us. So, if we struggle to describe our own consciousness, then perhaps it is not surprising that we cannot express what it is like to be a bat or an octopus. Instead we resort to third person descriptions and justify it as being in the interests of objectivity. But, does your imagination stretch to how much greater our understanding would be if we did know what is like to be a bat or an octopus? And, how that might change our attitude to the ecosystem? BTW: I would answer yes, yes and maybe to Baggini’s three questions, although I remain open-minded on all of them. Baggini J, The pig that wants to be eaten and 99 other thought experiments, London: Granta Publications, 2008. Rovelli C, Seven brief lessons on physics, London, Penguin Books. 2016. 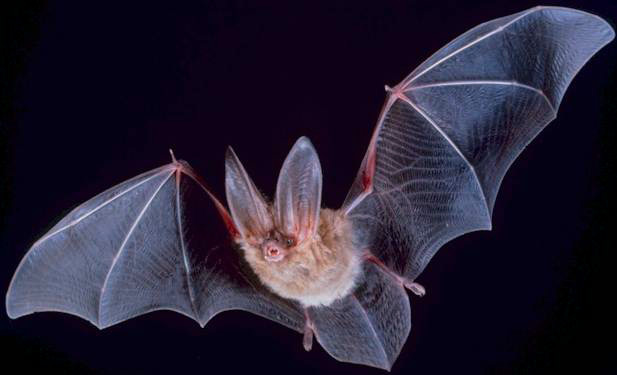 This entry was posted in Real life, Soapbox, Uncategorized and tagged bat, brain, consciousness, ecosystems, experiences, galaxy, imagination, mind, neuronal assemblies, neurons, octopus, stars on February 13, 2019 by Eann Patterson. A couple of weeks ago I wrote about cuttlefish [see ‘Wearing your heart on your sleeve‘ on January 16th, 2019] based on a wonderful book, that I was given for Christmas, called ‘Other Minds: The Octopus and the Evolution of Intelligent Life‘ by Peter Godfrey-Smith. Cuttlefish and octopuses are cephalopods that Peter Godfrey-Smith describes as ‘an island of mental complexity in the sea of invertebrate animals’. The most recent common ancestor of cephalopods and humans is so distant and was so simple that cephalopods represent an independent experiment in the evolution of large brains and complex behaviour. An octopus has about 500 million neurons, which is not as many as humans, we have about 100 billion; but still a large number and connectivity is probably more important than absolute size [see ‘Digital hive mind‘ on November 30th, 2016]. Whereas we have a central nervous system, an octopus has a distributed system with neurons located in its arms which appears to give each arm a high-level of autonomy. In addition to tactile sensory information from its suckers, each arm receives visual information from its skin which is sensitive to light. The extent to which information and control is shared between the neurons in the brain and the network of neurons in its body is unknown. It is difficult for us to imagine our fingers as being able to respond independently to visual as well as tactile stimuli, even more so to think of them as independent problem-solvers. Peter Godfrey-Smith suggests that cephalopods are the closest that we are likely to come to meeting intelligent aliens – their thought processes and capabilities appear so different to ours that our scientific studies and experiments are unlikely to fully reveal their intelligence or level of consciousness. A first step would be to stop eating them! 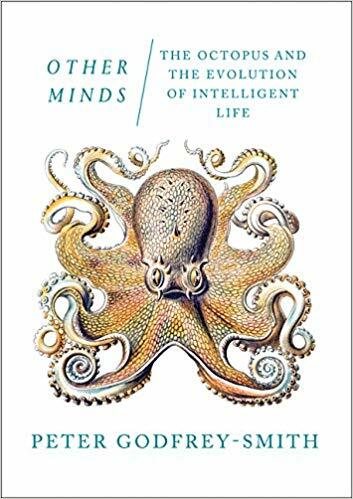 Peter Godfrey-Smith, Other Minds: The Octopus and the Evolution of Intelligent Life, London: William Collins, 2018. This entry was posted in Real life, Soapbox, Uncategorized and tagged aliens, brain, connectivity, cuttlefish, mind, mind-wandering, neurons, octopus on January 16, 2019 by Eann Patterson.